According to the court’s opinion, the plaintiff was working on a pick-up truck that belonged to his fiancée with whom he lived. While the plaintiff was near the front of the pick-up truck, an accident between two large trucks occurred at a nearby intersection. One of the vehicles involved in the crash was pushed into the parking lot where the plaintiff was working on the pick-up truck. The large truck crashed into the pick-up truck, causing it to spin around and knock the plaintiff to the ground. The court rejected the plaintiff’s claim that he was entitled to benefits under § 500.3114, finding that he was not an “occupant” of the vehicle at the time of the accident. The court reviewed previous cases, holding that to be considered an “occupant” of a vehicle, the plaintiff would have to have been “physically inside” the pick-up truck at the time of the collision. The court also explained that the “accident” in this case did not involve the pick-up truck. The court explained, “the accident involved two other vehicles [and] one of those vehicles then hit a stationary object that just happened to be Dover’s parked pickup truck.” That being the case, the court determined that the plaintiff was not entitled to PIP benefits under his fiancée’s insurance policy. Have You Been Injured in a Michigan Car Accident? 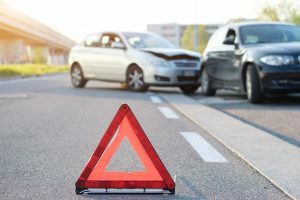 If you or a loved one has recently been injured in a Michigan car accident, the chances are that you will need to deal with at least one insurance company. Michigan insurance laws are complex, and insurance companies routinely take advantage of unrepresented accident victims. Do not let an insurance company convince you that your case is worth less than it is; contact the dedicated Michigan personal injury attorneys at Neumann Law Group. At Neumann Law Group, we represent Michigan car accident victims across the state in all types of car accident claims. To learn more, call 231-221-0050 to schedule a free consultation today.